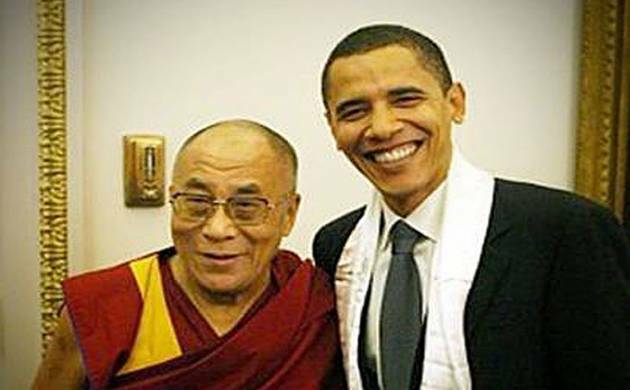 The group of 72 American lawmakers has asked US President Barack Obama to publicly support the right of the Dalai Lama to return to Tibet and call for an immediate and unconditional release of all Tibetan political prisoners languishing in China. “We write to ask that you redouble efforts in support of the Tibetan people during your remaining months in office. We believe it is critically important to move beyond words to actions,” the lawmakers said in a letter to Obama. “The Tibetan people view the US as their friend. It is time to honour that friendship with new, creative strategies to encourage meaningful dialogue, protect Tibetan rights, and preserve their unique cultural, religious and linguistic identity,” the three-page letter, dated August 17, said. The letter, organised by Congressman Jim McGovern, urged Obama to invite the Dalai Lama to every event, on every occasion, where his knowledge and decades of reflections would be helpful for addressing the world’s problems. The letter, released yesterday, call for the US government to facilitate the involvement of the Dalai Lama or his representatives in the global debate on climate change and its potential consequences given Tibet’s fragile environment, rapid warming and critically important reserves of freshwater. Urging the US government to publicly support the right of the Dalai Lama to return to Tibet, the letter asks Obama to publically and regularly call for the immediate and unconditional release of all Tibetan political prisoners held by the People’s Republic of China whose cases have been documented by the Congressional-Executive Commission on China. It seeks establishment of a US consular office in Lhasa, Tibet to help the US observe and address the obstacles to freedom of movement that affect both Tibetans within China, and US citizens, including Tibetan-Americans, who seek to travel to Tibetan areas of China. The letter also seeks enforcement of norms of reciprocity to ensure that senior Chinese officials responsible for restricting the access of US officials, journalists, Tibetan-Americans and other citizens to Tibetan areas of China are themselves restricted in their travel when they are in the US. Prominent among those who signed the letter are Congressman Eliot Engel, Ranking Member on the House Foreign Affairs Committee Nita Lowey among others.